We’re just a little over a month away from Marvel Studios’ Avengers: Endgame. It’s already one of the most anticipated movies of the summer, if not the most anticipated. And the latest TV spot shows us just what’s at stake when it comes to the next go-around with Thanos. Marvel Entertainment debuted the TV spot on its YouTube page, which you can see below. But this time around, instead of simply having footage from previous trailers, it reminds us just what’s at stake. The ad, titled “Honor,” shows us a number of characters that fell victim to “the snap” during the conclusion of Avengers: Infinity War. The homage begins with a look at King T’Challa, aka the Black Panther. From there, we see glimpses of others in profound black and white, with a little bit of red coloring. These include Doctor Strange, Hope van Dyne (aka the Wasp), Bucky Barnes (the Winter Soldier) and three members of the Guardians of the Galaxy. It’s a strong and effective reminder of just what the team managed to lose in last year’s episode. But then it shifts into full color, with a particular quote from Captain America not holding back. “Today we have a chance to take it all back.” Though this doesn’t spoil the storyline, it does tie in with previously footage. We see some of that, with members of the remaining Avengers walking out of their headquarters in new suits. The short but sweet TV ad goes for the dramatic approach throughout. The music score in itself is especially moving, with a slow melody playing over the start, and then ramping up for its conclusion. The trailer is worth a watch, and should get more than enough fans hyped up for Endgame’s premiere. The only real question is how prepared they are to see it unfold. After all, it’s “whatever it takes” with this squad. 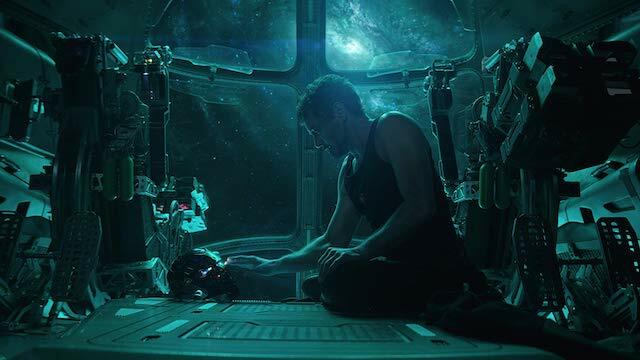 We’ll find out how the story concludes when Avengers: Endgame hits theaters on April 26. What do you think of the new TV ad for the film? Let us know in the comments below!